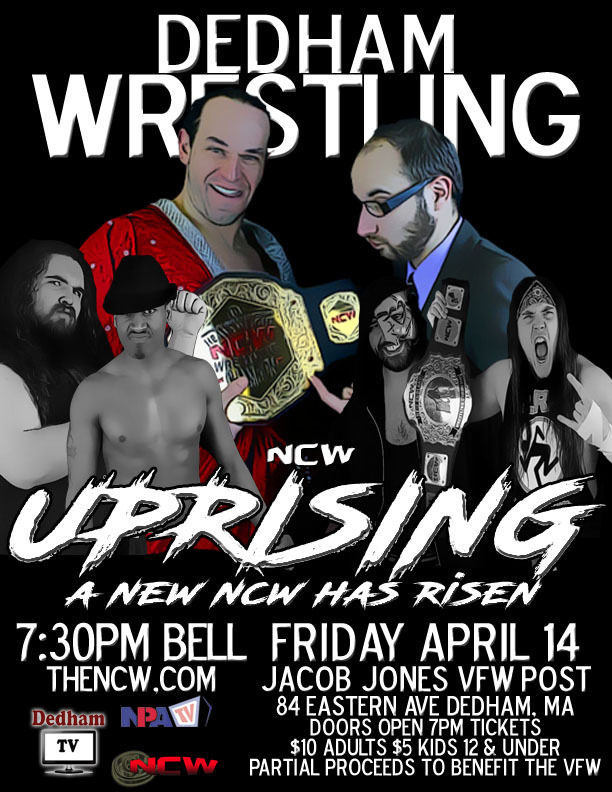 DEDHAM— On Friday night April 14th Northeast Championship Wrestling’s 2017 Season continues when NCW returns to the Jacob Jones VFW Post (84 Eastern Avenue) in Dedham, MA for the UPRISING, with proceeds from the door benefiting the VFW! Doors open at 7pm with a 7:30pm bell time. Tickets are available online at theNCW.com/tickets and will also be on sale at the door the night of, only $10 for adults and $5 for all kids twelve and under. 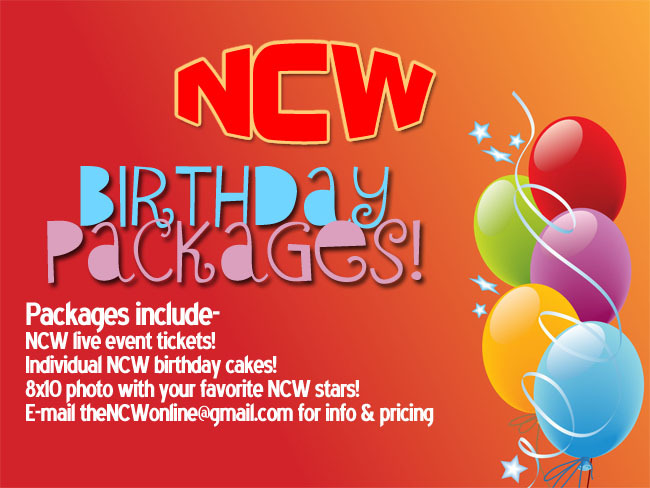 Press Release: May 7th it’s NCW Saturday Night! 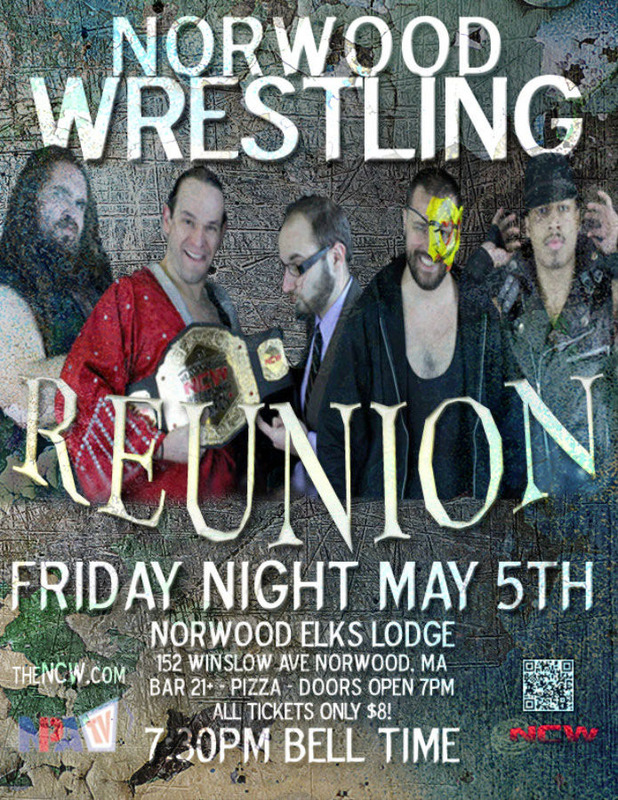 DEDHAM– On Saturday night May 7th Northeast Championship’s 2016 Season continues when we return to the Jacob Jones VFW Post (84 Eastern Avenue) in Dedham, Massachusetts for the final stop before our 19 year REUNION when we present NCW Saturday Night! Doors open at 7pm with a 7:30pm bell time. 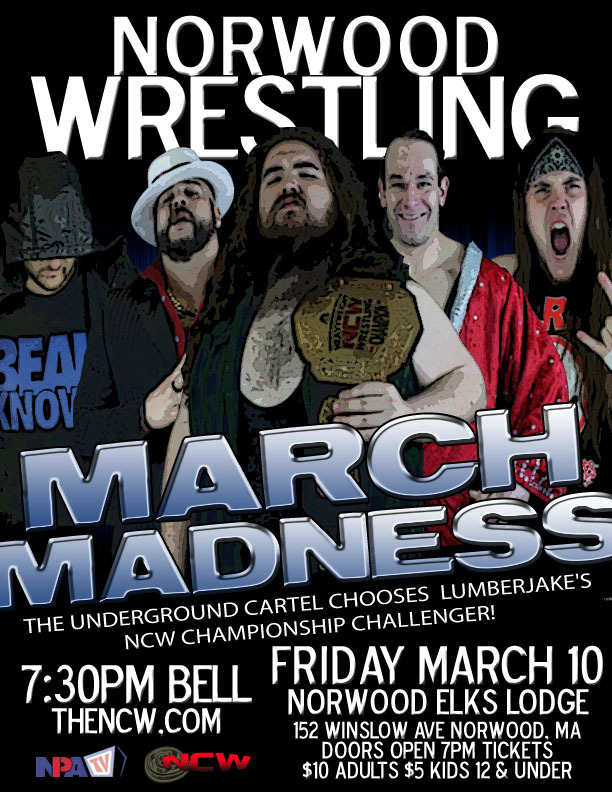 Tickets are on sale now at theNCW.com/tickets and will also be available at the door the night of the event $10 for adults and $5 for all kids twelve and under.